The little auks are hard to spot among the rocky rubble that lines the shore of northwest Greenland. The black-and-white birds—diminutive relatives of the puffin—flicker and bob around the noisy colonies, looking for a mate with which they will lay a single egg. But when a gyrfalcon swoops low over a bouldery slope, the birds take flight en masse, darkening the skies with their numbers. Some 33 million pairs accounting for more than 80 percent of the world’s breeding population come here each spring. The little auks also come to feast. They spend the nightless days diving between icebergs for tiny crustaceans called copepods to feed their chicks. While most of the northern oceans remain frozen in early summer, this wedge of sea between Greenland and Canada’s Ellesmere Island usually boasts a vast polynya—an opening in the sea ice—that teems with life. European whalers called it the North Water. But the Inuit who live here have long called it the Pikialasorsuaq [peek-yayla-sor-swakh], or the Great Upwelling. For the roughly 750 Greenlanders in the area, the little auks’ appearance marks the beginning of an annual ritual. 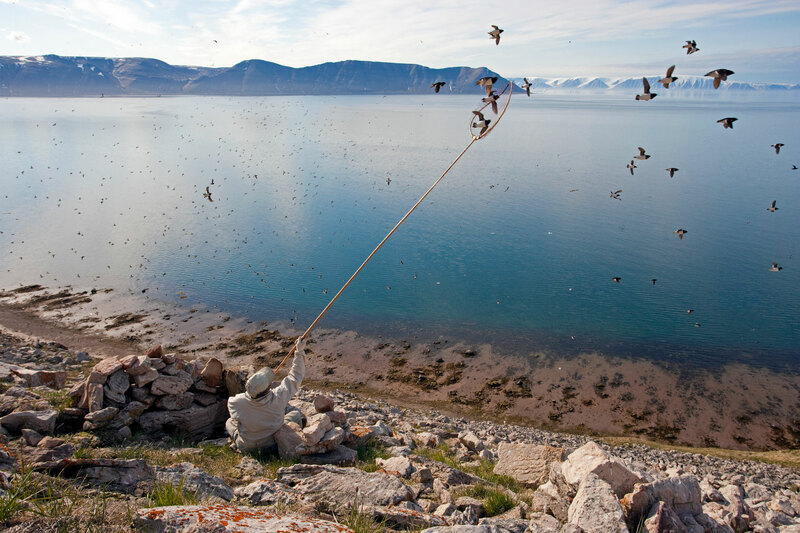 People from Qaanaaq and the surrounding villages flock to the bird colonies. Children scurry along the edge of the talus collecting eggs, while men and women, including the elderly, find perches on the steep slopes. Many return to the same spot every season, settling onto comfortable ledges or behind makeshift walls that block the wind. Then, the hunters raise their ipoqs—nets mounted on long poles—and start catching birds. With quick twists, they ensnare the little auks as they zoom in and out of their nests. In an hour, a good hunter can catch a few hundred birds. In a good season, locals net tens of thousands. They eat the auks boiled, dried, or prepared into a delicacy called kiviaq, made by fermenting the birds, feathers and all, in a sealskin pouch. It’s a favorite dish for family celebrations, says Mads Ole Kristiansen, a hunter from Qaanaaq. The little auks are just one of many creatures drawn to the Pikialasorsuaq. Eiders, murres, and kittiwakes come to share in the ocean’s bounty along with walruses, narwhals, belugas, seals—and people. “It’s like going to a huge supermarket,” says Larry Audlaluk, a hunter and economic development officer who lives in Grise Fiord, on the Canadian side of the polynya. 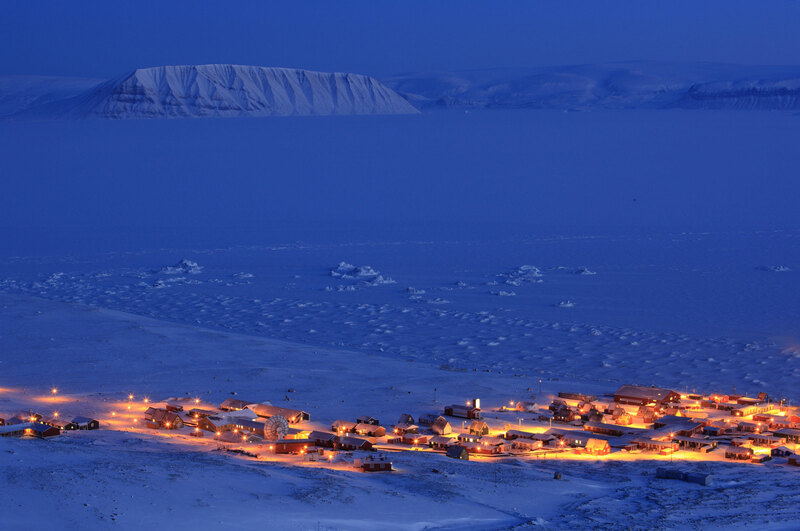 Indeed, the Pikialasorsuaq has supported human residents of the region for millennia and remains the feature around which life and culture in this part of the Arctic revolves. But today, the Pikialasorsuaq is changing. The balance of forces that create the polynya may tip under the weight of climate change, and the warming ocean threatens to transform this remarkable ecosystem. The economics of the area are shifting, too, and the region could soon see more shipping, tourism, and resource extraction. Polynyas are, by nature, paradoxical—oases in the planet’s frozen seas that depend on the presence of both water and ice. If the polynya freezes over, its unique nature disappears. Conversely, if the ice surrounding it melts away, a polynya simply becomes ocean. Dozens of these features appear each year near the poles, but the Pikialasorsuaq is one of the largest. At its peak in late July or August, it spans up to 85,000 square kilometers—an area about the size of Austria. The Pikialasorsuaq assumes a loosely triangular shape. Its southern border dances almost 400 kilometers along the 76th parallel. The western and eastern borders jog along Ellesmere Island and Greenland, until their steep cliffs—sliced by glaciers that dangle like tassels off the edges of surrounding ice caps—converge into a narrow sound. Just north of that lies the Nares Strait, a thread of water linking the Atlantic and Arctic ocean basins. And it’s to the Nares Strait that the Pikialasorsuaq owes its existence, says Dany Dumont, a sea ice researcher at the University of Quebec at Rimouski. Most years, by March or April, a jumble of sea ice and glacial icebergs clogs the strait, creating an impenetrable blockade. South of this dam, prevailing winds sweep away any new ice that forms so that, even in winter, only a thin skin covers the Pikialasorsuaq, and in summer, it’s almost entirely ice-free. A current of warm water flowing up the west coast of Greenland may help keep the water open, too. These forces sustain the polynya until it dissolves in late summer, when the sea ice that surrounds it and the ice dam in the Nares Strait finally break apart. These fortuitous conditions attract the polynya’s diverse denizens. In winter, fractures in the weak ice offer breathing holes for marine mammals, such as belugas and narwhals. Walruses also haunt the Pikialasorsuaq year-round, migrating between Greenland and Canada in search of shellfish. Bearded and ring seals abound, as well as animals that like to dine on them. “In February or March, when the days are coming back, you will most likely see a polar bear or two,” Audlaluk says. The polynya is the Okavango Delta of the Arctic. But the real action comes when the sun climbs above the horizon after the long, dark winter. Without sea ice to filter the spring light, phytoplankton bloom and form the basis of a rich ecosystem, drawing on nutrients brought to the surface by widespread upwelling. As a result, the growing season in the Pikialasorsuaq is longer and more productive than almost anywhere else in the Arctic, says Anders Mosbech, an ecologist at Aarhus University in Denmark and coleader of the Now Project—an interdisciplinary effort to study the human and natural history of the North Water. Perhaps the clearest illustration of the polynya’s abundance comes in the form of the little auk, which Mosbech studies. The dove-sized birds have ravenous appetites; each adult with a chick gulps down about 60,000 copepods every day. Collectively, the auks alone consume up to a quarter of the copepod stock in certain parts of the North Water. Then they fly back to their nests—and poop. For several summers, Mosbech and his colleagues staked out auk colonies to study, among other things, how bird droppings transform the otherwise barren landscape. They found that the fertilizer nourishes lush grasses that provide food for hares and geese, and support 10 times the density of muskoxen compared to areas without the birds. The scientists call the little auks ecological engineers. They not only profit from the explosion of life around the polynya, they contribute to it. The earliest pioneers to reach Greenland left behind a smattering of stone tools and dwellings. A few centuries later, one left behind a lock of hair, recently unearthed in 4,000-year-old permafrost near present-day Ilulissat. The man to whom it belonged, or his Paleo-Eskimo forebears, likely arrived on the island by sailing across the polynya or by walking over the ice blockade in the Nares Strait, the shortest route between North America and Greenland. The Pikialasorsuaq probably attracted people with its bounty of food and served as a stepping stone for Inuit continuing into Greenland, says Bjarne Grønnow, an archaeologist at the National Museum of Denmark. 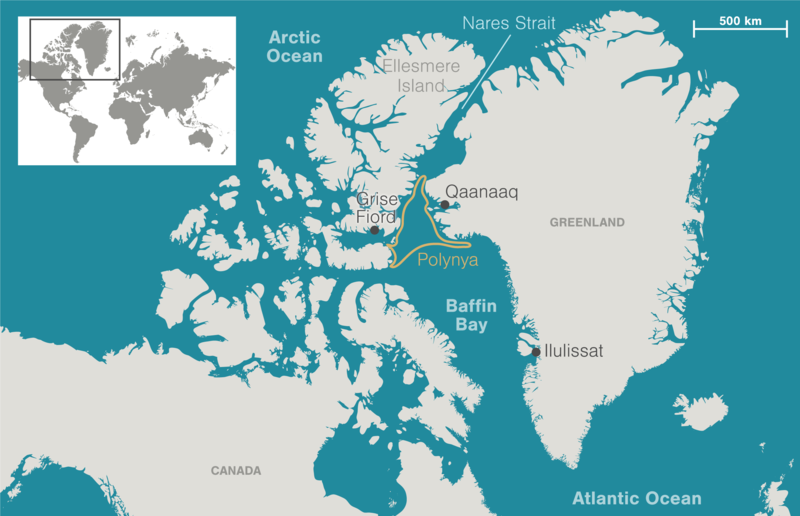 This is echoed by Janne Flora, an anthropologist at Aarhus University: “One could argue that it is the polynya—and the animals in the polynya—that have made Inuit come into Greenland,” she says. Over the next several millennia, waves of people passed through the same gateway to populate Greenland. Often, it was a one-way eastward migration, says Grønnow. However, those who stuck around the polynya lived and hunted on both sides. And artifacts fashioned of metal from a meteorite near Savissivik, Greenland, made their way throughout Arctic Canada, attesting to a two-way trade. The Thule Inuit came from Alaska and northwestern Canada, and hunted in groups using sophisticated technology—including skin boats and dogsleds—that allowed them to take down large marine mammals, such as bowhead whales and walruses. They moved often, following animal migrations and switching between food sources. 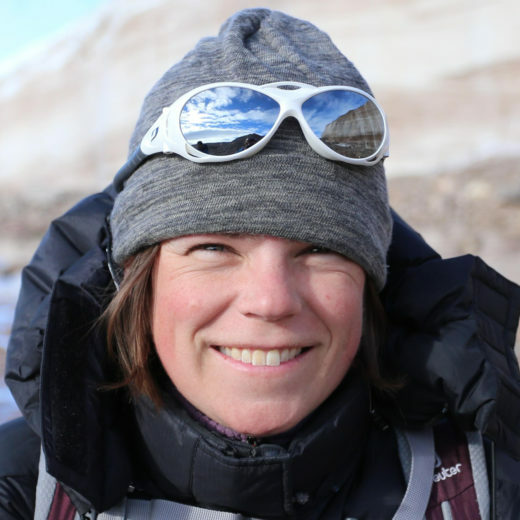 “What has fascinated me about the population up there, be they prehistoric or historic or present, is this enormous flexibility and sense of strategy that it takes to live in those environments,” Grønnow says. However, during a centuries-long cold snap known as the Little Ice Age, people abandoned the already tenuous settlements on Ellesmere Island, leaving the Greenlandic Inuit isolated on their side of the polynya. When European whalers and explorers visited the North Water in the 1800s, they noted that unlike the Canadian Inuit they met, the Greenlanders did not use kayaks or bows and arrows. At some point, it seems, they had lost the knowledge to make them, and by the middle of the century, the local population had dwindled to roughly 100. But then, a man from Baffin Island named Qillarsuaq led a party of a dozen or so to Greenland in the 1860s. (He allegedly fled home after committing a murder and may have learned of the forgotten Greenlandic settlements from European sailors.) Qillarsuaq’s group reintroduced lost tools to the Thule region and had children there, establishing new familial connections across the polynya. In the 1950s, however, these trips came to a halt after the Canadian government began to enforce its borders and residents found fewer opportunities to gather with their neighbors across the polynya. So in the 1970s, Audlaluk and his counterpart in Qaanaaq began chartering Twin Otters to fly a dozen or so people across the Pikialasorsuaq. They ate, shared music, and just enjoyed spending time together, says Audlaluk, his jovial manner giving way to soft sincerity, “because we were friends and family.” They were one people, bound by the Pikialasorsuaq. Audlaluk was not born in Grise Fiord. He left his home on Hudson Bay in 1953 as a young boy, after the Canadian government relocated his family and other Inuit to new settlements on Ellesmere Island. “The official reason was that economic opportunities were much better,” he says. But many Inuit argue that Canada simply wanted to increase its presence in the Arctic as the Cold War set in. It was a harsh new life. Audlaluk’s family had to eat walrus and polar bear instead of the waterfowl and fish they were used to hunting. “It was just simply culture shock,” he says. Rising military tensions brought changes across the polynya, too. 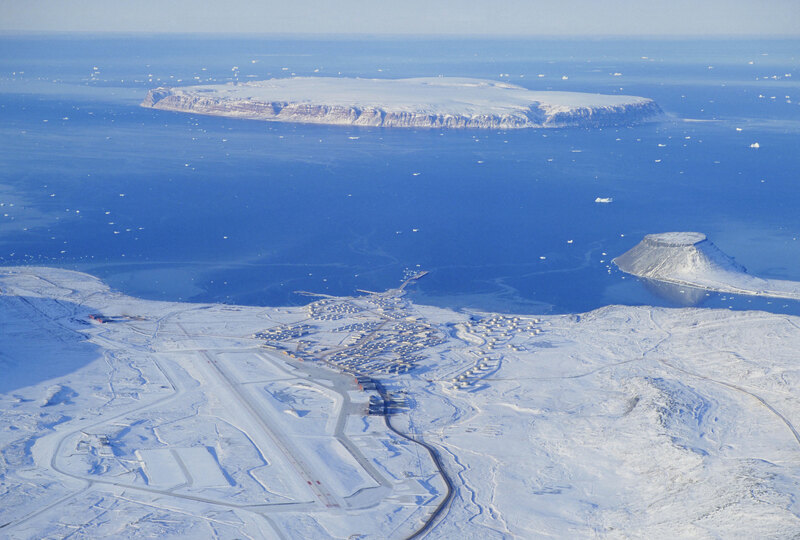 The United States established the Thule Air Base in northwest Greenland on top of an existing Inuit village, displacing its residents to the new community of Qaanaaq. Then, in 1968, a B-52 bomber carrying four hydrogen bombs crashed into the sea ice of North Star Bay, on the east edge of the polynya, releasing radioactive contamination into the water. More keenly than most, residents of the Pikialasorsuaq felt the impact of the distant conflict. Today, they must confront another global crisis: climate change. Some fear the continued loss of Arctic sea ice could make it harder for the ice blockade in Nares Strait to form and easier for it to break apart, shortening the seasonal life of the polynya. Conditions vary widely year to year, Dumont says, but historical satellite images show that since the mid-1990s, the ice dam has started to disintegrate earlier in the summer. Rising temperatures will also make the borders of the polynya more unstable and ill-defined—reducing locals’ ability to hunt along the ice edge and travel to visit friends and relatives in different communities. The changing ice conditions will affect the marine ecosystem, too. Dumont’s research suggests that a tenuous ice dam and weak ice edges may reduce upwelling and biological productivity in the polynya. Loss of sea ice will directly impact walruses, which rest on the ice while foraging on the shallow seafloor, as well as seals and polar bears, says Mads Peter Heide-Jørgensen, a biologist at the Greenland Institute of Natural Resources in Nuuk. Warming also invites new species poleward, potentially altering the food web, he says. Across the northern hemisphere, copepods usually found at lower latitudes are inching closer to the pole, potentially displacing their larger and more nutritious Arctic counterparts. And that could spell trouble for the animals that eat them, like little auks. The warming Arctic is drawing plenty of human newcomers, from tourists to industrial developers. 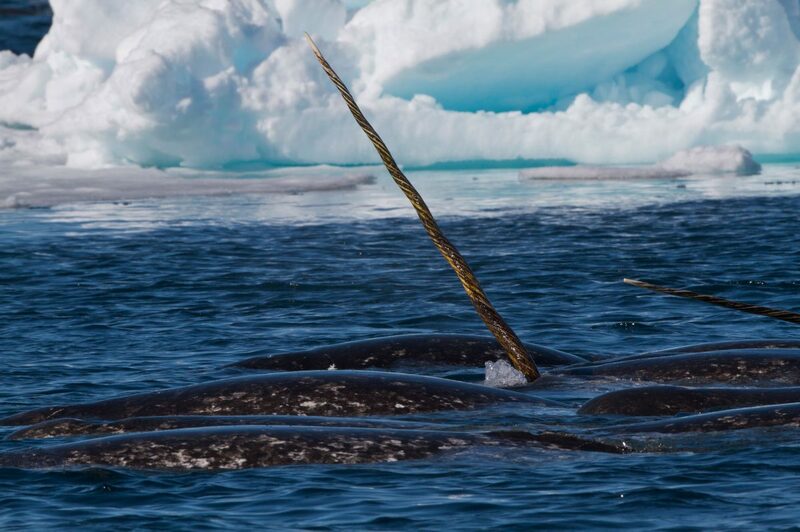 Already, seismic surveys in Baffin Bay, which involve setting off underwater blasts to probe for offshore oil and gas deposits, have been implicated in the deaths of hundreds of narwhals in and around the Pikialasorsuaq. And mining outfits are taking an increasing interest in Greenland’s ancient rocks, rich in metals and gems. One company, Bluejay Mining, has found titanium in the black sand beaches near the Thule Air Base. Heide-Jørgensen says mining that stretch of coast could threaten clam beds favored by walruses. The Inuit management authority’s jurisdiction would include the areas in and around the Pikialasorsuaq, which the commission suggests be given a special designation, like an Indigenous protected area. Recognizing the cultural importance of the polynya could help managers strike a balance between conservation and hunting—objectives that sometimes come into conflict. Harvest quotas are a frequent flashpoint. Wildlife managers use them to protect imperiled species, but hunters say they often strain Inuit communities. Kristiansen says the limits have “almost broken our circle of life in the Arctic.” Hunters not only provide food, Grønnow notes, but also commercial products like narwhal skin, which represent one of the few sources of cash income locals have to buy fuel and other supplies. No amount of management can stop climate change in its tracks or stave off the impacts. 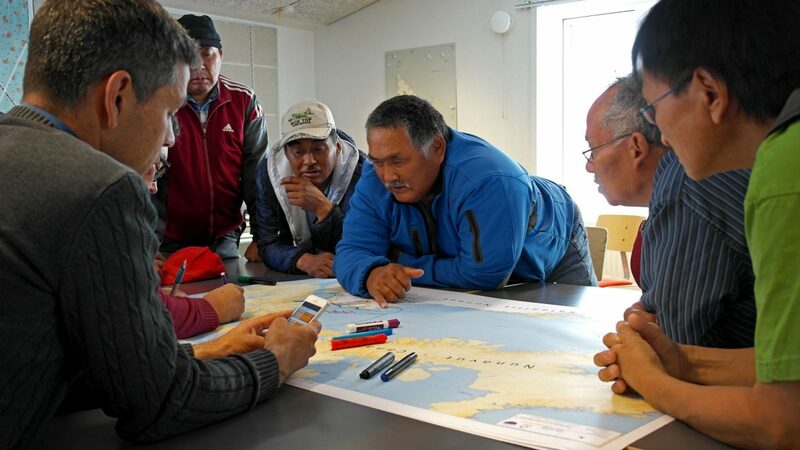 But the Inuit of the Pikialasorsuaq say they are uniquely poised to take the lead in monitoring shifts and trends. “We’re already up there, and we’re already seeing it,” Eegeesiak says. “So governments should take advantage.” In the past, the relationship between scientists and locals has been rocky. Researchers often arrive in villages unannounced, sometimes in the middle of the busy hunting season, and never report back with their results, residents told commissioners. Some feel frustrated that scientists don’t often seek information from locals. “They can ask us because we know,” says Kristiansen. The new Inuit management authority would oversee a community-based monitoring and management program that merges Western science and Indigenous knowledge. Already, some scientists have collaborated with hunters to measure sea ice during their travels. Another effort, led by Flora and her colleagues as part of the Now Project, asked hunters to document wildlife sightings. Eegeesiak says she’d like to see long-term versions of these projects. The challenge now is to implement the recommendations of the Pikialasorsuaq Commission. This past May, residents of the polynya, government officials, and scientists gathered in Nuuk to start laying the groundwork. They debated what kinds of legal designations might offer the best protection for the humans and animals that rely on the polynya and discussed the need to find funding for monitoring efforts. 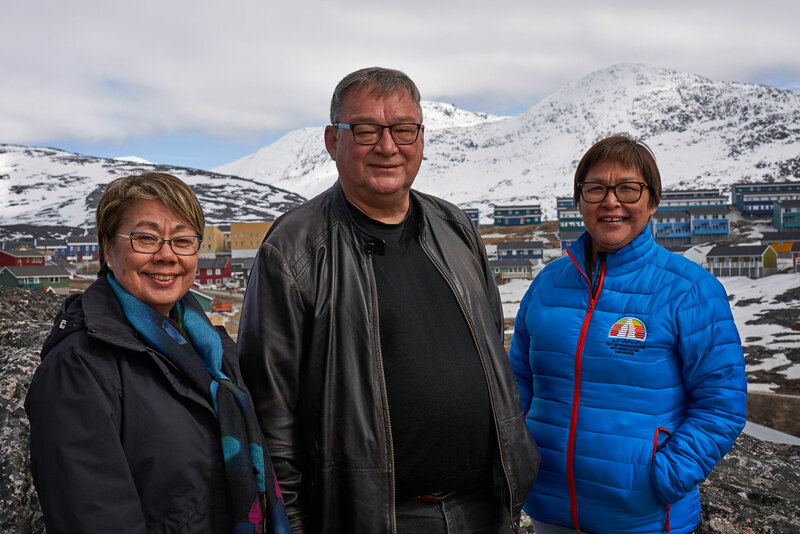 Kleist thinks the Inuit-run Greenlandic government, which has authority over most domestic issues, will likely back the commission’s efforts. Canada, for its part, has expressed initial support, too. 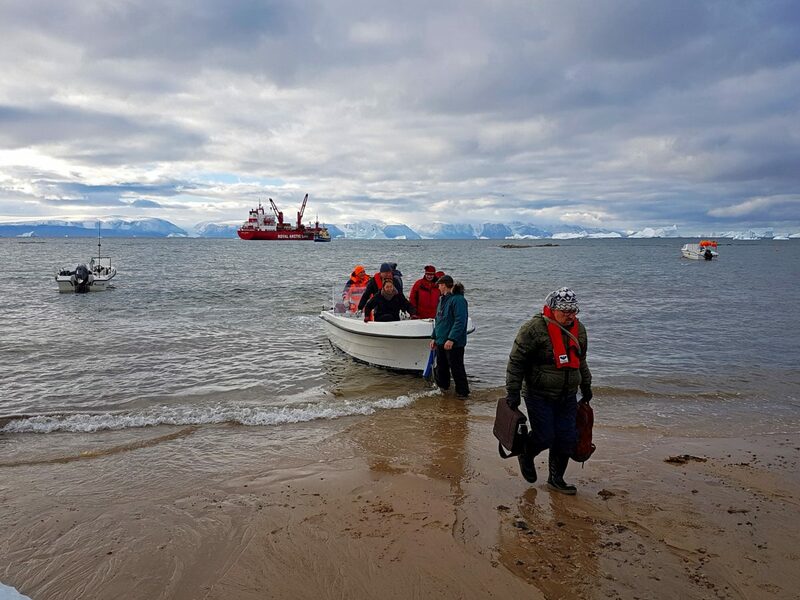 A spokesperson from Fisheries and Oceans Canada wrote in an email that they would look to Inuit leadership, as they have done with the national marine conservation area established last year in Tallurutiup Imanga (Lancaster Sound). The biggest question for Denmark will be how to handle international border crossings. Restoring free travel may be one of the thornier issues to tackle, but also one of the most important to residents of the Pikialasorsuaq. Practically speaking, humans have survived there because of their ability to adapt and respond to changes, which meant relying on resources—and relatives—on both sides of the polynya. Residents want to be able to do so again. But opening the borders would also be a symbolic step toward recognizing the Pikialasorsuaq as the social and ecological heart of the region, one that cannot be sundered by invisible political boundaries. Now more than ever, the people of the polynya say the future depends on treating it that way. Cite this Article: Julia Rosen “An Oasis of Open Water,” Hakai Magazine, Nov 27, 2018, accessed April 26th, 2019, https://www.hakaimagazine.com/features/an-oasis-of-open-water/.